The Bossier City All-Stars won the Dixie Baseball 9 AAA District IV tournament at the Lawson “Bo” Brandon Sports Complex in Princeton. Bossier City went 4-0 in the five-team round robin event, which started a week ago and concluded Saturday. Bossier City defeated Haughton, Union Parish, Benton and Shreveport, winning all of its games by at least five runs. Its closest game was a 10-5 win over Union Parish. Members of the district champion team are Chase Rambin, Clayton Brandon, Kenner Lauterbach, Zach Schoenborn, Eli Harper, Riley Sitter, Wesley Gardner, Noah Mc-Williams, Conner Stevens, Collin Wiggins, Gibson Harvill and Barrett Newman. Coaches are Dustin Brandon, Bobby Schoenborn and Matt Lauterbach. Bossier City advances to the state tournament, which begins Friday in Ponchatoula. 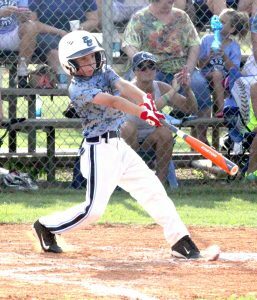 A member of the Bossier City All-Stars Dixie 9 AAA district championship team bats against Haughton. 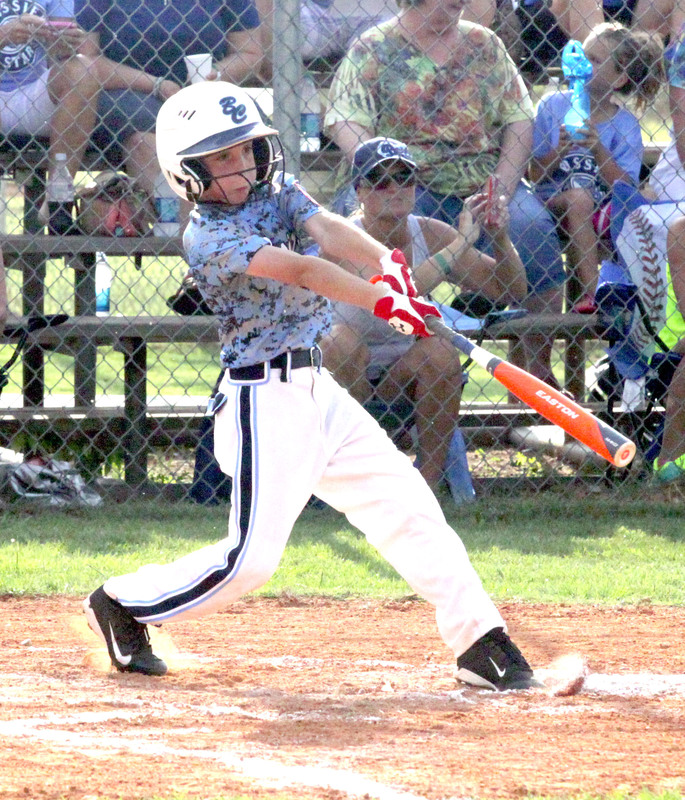 The Haughton All-Stars won two games in the 9 AAA tournament, defeating Shreveport and Benton. Elsewhere, Haughton defeated the Ruston Nationals in the first round of the AAA tournament before falling to the Shreveport Americans in the semifinals. Haughton was eliminated by the Shreveport Nationals in the losers’ bracket. 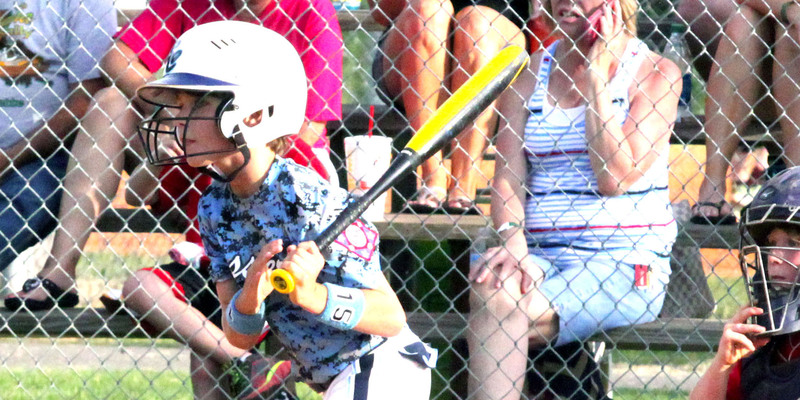 The Bossier All-Stars finished runner-up in the T-Ball state tournament in Shreveport. Members of the state runner-up team are Cole Snell, Caeden Alexander, John Dickey, Kirby Haskins, Brady Gaydos, Aubrey Ramsey, Kamron Blackshire, Cooper Gray, Kaleb Williams, Brock Jordan, Peyton Rayner and Maddox Williams. Coaches are Bryan Rayner, John Gray, Matt Gaydos and Jeff Ramsey. Bossier also won the West Ouachita Dixie T-Ball Warmup and the Bossier Little League T-Ball Open tournaments earlier this summer. Editor’s Note: This is an updated version of the story printed in the Wednesday, June 9, Bossier Press-Tribune. That story contained an error. Bossier did not have a team in the AAA tournament.